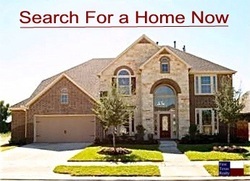 If you are looking to buy or sell a home or property in the Rosenberg, Richmond greater Fort Bend County area, you have come to the right place. First Texas Realty, located just blocks from old downtown Rosenberg specializes in down home friendliness using the latest in technology advancements to help your home buying and/or selling experience be the best ever possible. 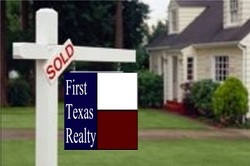 If you are looking to buy or sell a home we at First Texas Realty are ready to serve you in this important decision. We are a local real estate office located near historic downtown Rosenberg, TX. We service the whole Fort Bend County Area including Richmond, Needville, Beasley, Damon, Orchard, Fulshear, Sugar Land, and all surrounding towns. We offer leading edge technology, excellent service, experience and most of all complete dedication to your needs and wants. Whether buying or selling "Let Us Be Your FIRST Choice For All Your Real Estate Needs". And now, brothers and sisters, as I close this letter, let me say this one more thing: Fix your thoughts on what is true and good and right. Think about things that are pure and lovely, and dwell on the fine, good things in others. Contact Us... buying or selling?